Whether you’re relocating from across town or accross the globe, if you’re planning to buy a home in the Walton High School District of East Cobb, in Marietta, GA you have come to the right place. You will find GreatWaltonHighSchoolHomes to be a unique and unmatched resource for those seeking highly targeted, accurate, and updated information on property listings, market information, and feeder schools in the Walton High School submarket. We are proud of the level of specialization this site offers and we welcome all visitors, however, those visitors who decide to become our Clients and have us Represent them will naturally receive far more indepth information, and access to properties than visitors who simply drop by the site to view homes. For Example, (in addition to our outstanding buyer representation services) our Clients will have access to very detailed mapping and search parameters, up to the minute market trends, and street level price comparisons, custom HD neighborhood video tours, and other related information that is not available on any other East Cobb or Atlanta real estate brokerage site. Prefer the Advantages of an Expert and Advocate over the limitations of an ordinary Agent? Need unbiased, unvarnished, advice and details about any home, builder, market, or school? 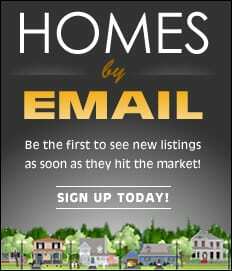 Want to look at a specific home – or have me help you identify and view all the best homes? My buyer representation services are the most comprehensive in the Atlanta real estate industry, cost you nothing, and can prevent a host of unforseen problems, and save you a lot of wasted time, and thousands of dollars! Direct Personal Assistance and Experienced Counsel from a Licensed Broker/Owner…PLUS: Protection and Advice from an ICC Certified Home Construction and Building Inspection Expert! No other agent will (or can) do more to look out for you! Every buyer client receives a complimentary Pre Purchase Analysis of the Structure & Major Systems of every home of interest – new or existing – BEFORE we craft and submit offers. This is not a “handy guy” look over – this is an experienced analysis by an ICC Certified Combination Inspector and new home building expert with 20 years experience evaluating the structures and systems of thousands of new and existing buildings. You make wiser decisions when you really know what you’re buying – BEFORE you act! Actions and an approach that proves whose best interest I am most concerned about. When appropriate, I will actually advise you NOT buy certain homes (new or existing) to protect your interest. While that means we have to keep looking, when I make that suggestion, you can be sure it is done to save you significant expenses and problems. Helping you make a sound investment is more important to me than how fast we can get to the closing table. How many other agent/realtors do you think tell thier clients Not to buy a home? Invaluable experience with builders and new construction homes. I monitor the construction of new homes for my clients who are building, and assist buyers with the unique and detailed requirements of working with new home builders and submitting offers on new construction homes. Efficient and quick homefinding results. I can show you all the properties currently listed for sale in every MLS system that matches your most important criteria, including unadvertised homes most Agents don’t know about. In 12 years, it has never taken me more than 42 days to find my client a home they loved and a home that was also verified to be a sound investment. My record to help a client find their dream home is 3 days – the typical time is 10 -14 days. The extra work I do in performing structure and major system evaluations pays off in many ways, including helping you pin point the best homes far faster than any other buyer or agent can. This means you have the opportunity to see the very best homes available before someone else buys them. No matter if its a Buyers or Sellers market -The Best Homes Always Sell The Fastest! HD Video Tours of specfic neighborhoods and specfic homes – to assist Clients who are not in Atlanta. 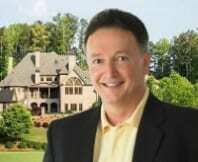 As Atlanta’s Only Licensed Broker/Owner & ICC Code Certified Building Inspection Expert, Robert offers a more comprehensive level of Real Estate Representation which has saved buyer, seller, investor, and luxury home clients many hundreds of thousands of dollars over the years, and spared clients a lot of unnecessary risk, worry, and anxiety throughout the home buying/selling/home building process. Acting not just as his clients realtor, but as his clients consultant and advocate, Robert routinely relies on his multiple qualifications, experience, and knowledge to resolve a host of complex contract, regulatory, and home construction and inspection issues. His skills and services exceed both the abilities and the expected responsibilities of any real estate agent/Realtor. Roberts experience, counsel, and unique qualifications have been instrumental in insuring clients make a sound and successful purchase or sale, including protecting clients by proactively preventing problems, holding client deals together in the face of unforeseeable deal killer events, sparing buyer and seller clients the financial impacts of inaccurate inspection calls and inaccurate appraisals, and in a few unusual cases, successfully assisting buyer clients in getting out of deals with their Earnest Money intact.